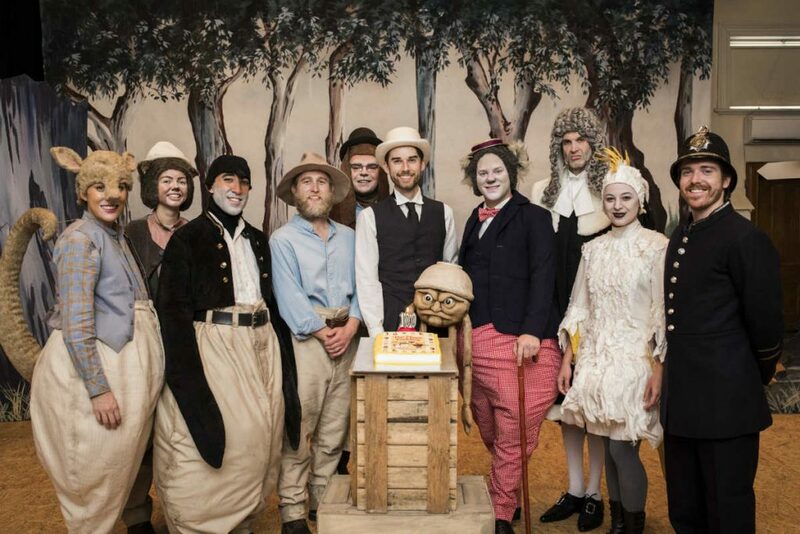 Victorian Opera’s latest opera season celebrates Norman Lindsay’s enduring Australian classic children’s book, The Magic Pudding, which turns 100 this year. 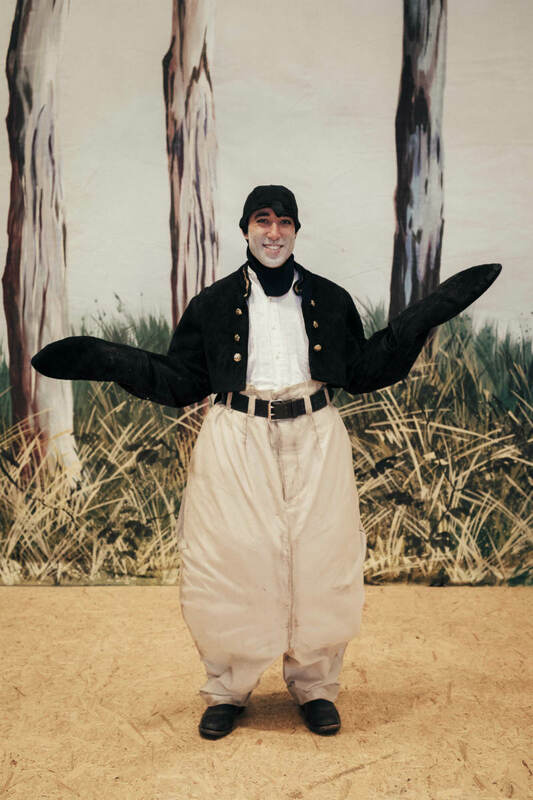 In the lead-up to the opening night of Calvin Bowman’s musical reinterpretation, we caught up with 2013 Melbourne Conservatorium graduate and acclaimed tenor Brenton Spiteri to find out more about The Magic Pudding – The Opera. Hi Brenton, for those who are curious about the behind-the-scenes elements, can you tell me a little about what the rehearsal process for The Magic Pudding has been like? A lot of people work very hard to bring a show like this together, and the work begins a long time before we hit the studio floor to begin rehearsing. For us singers, this involves learning our roles as thoroughly as possible, memorising the words and music, and getting a sense of who our characters are and what they bring to the story. Once we begin rehearsals, we bring a physical dimension to what we’ve learned so far. We need to get our bodies and voices accustomed to the pacing of the show and bring our characters to life by interacting with the space, set, costumes and other performers. The Magic Pudding is such an energetic story and you can really feel that energy in our rehearsal room, so the preparation process has been a huge amount of fun. A lot of us have known each other for a long time and worked together before [many of the cast members are fellow Melbourne Conservatorium alumni] so there is a great sense of ease within the cast. Brenton Spiteri as Sam Sawnoff in Victorian Opera’s production of The Magic Pudding – The Opera. Image by Charlie Kinross. 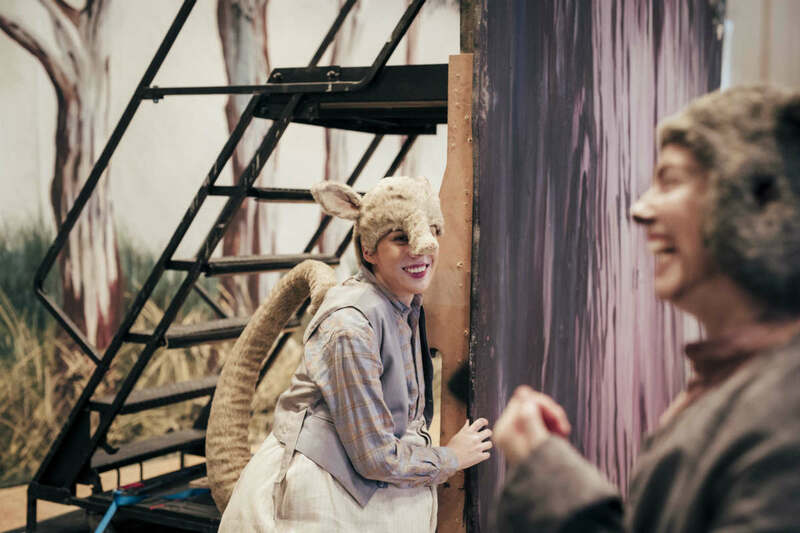 A lot of the characters are native Australian animals, so we have been wearing elements of our costumes as we rehearse to really hone in on the creatures we’re trying to inhabit. My character Sam Sawnoff is a penguin and, unsurprisingly, I’d never really considered before what it would be like to be a penguin. It’s been useful in the studio trying to master moving in a penguin-like fashion. I now know definitively that penguins don’t have a lot in common with humans in terms of how they move, hold themselves, sleep … or basically anything at all. When did you first come into contact with The Magic Pudding? Did you read it as a kid? I read it for the first time before we started rehearsing our show and I can see why the story has stood the test of time. There is something that really appeals to children about animals taking on human attributes and having adventures of their own. Melbourne Conservatorium alumnae Shakira Tsindos and Shakira Dugan in The Magic Pudding – The Opera. Image by Charlie Kinross. What’s the difference between performing in a children’s opera and an opera from the standard repertoire? Children express their emotions all the time. If they’re happy or find something funny, that’s great; if they’re sad, scared or angry, it’s not so great. So they’re pretty exacting audience members. If you keep up your energy and really commit to what you’re doing, they’ll be right there with you, but they instinctively know if a performer’s faking it. You need to bring your best game and be prepared for anything. This is doubly the case if there are children in the cast. When I performed in Victorian Opera’s production of The Pied Piper a few years ago, one of the children in the chorus decided it would be funny to tie my shoelaces together in the middle of the show. Luckily this was during a rehearsal, because I couldn’t stop laughing for the rest of the night. What have been the main challenges in preparing for The Magic Pudding? It’s been a fairly stress-free process to be honest. It’s always a delight to work in my hometown where my family and friends can come and see the show. I’ve worked for Victorian Opera since I was about 18, so it feels homey and safe to be performing with them once again. How did you first come to perform with Victorian Opera? In 2007, I performed in Victorian Opera’s first production of Snow Queen. I played an evil magician who invents a powerful magical mirror. During rehearsals, we decided to give him a goat-like physicality, referencing the trope of demonic characters being represented as horned animals. I’ve performed a few other roles with Victorian Opera since then, most notably the Mosquito and Schoolmaster in last year’s Cunning Little Vixen, and now Sam Sawnoff “the penguin bold” in The Magic Pudding – The Opera. Thanks to Victorian Opera, I now have a goat, a mosquito and a penguin in my repertoire. I can’t wait to play another weird animal sometime soon. Victorian Opera’s cast for the 2018 season of The Magic Pudding – The Opera. Image by Charlie Kinross. What advice would you give to someone who’s keen to pursue a career in opera? Tenacity is crucial. Enjoy the highs, and appreciate the lows for the amazing learning opportunities they offer. Never forget that opera is theatre, and it’s very important to understand your character, live your text, play your situation and use your body – as well as sing beautifully. The Magic Pudding – The Opera opens on 15 March at the Arts Centre Melbourne Playhouse, before touring to Wodonga (5 April) and Bendigo (27 April). 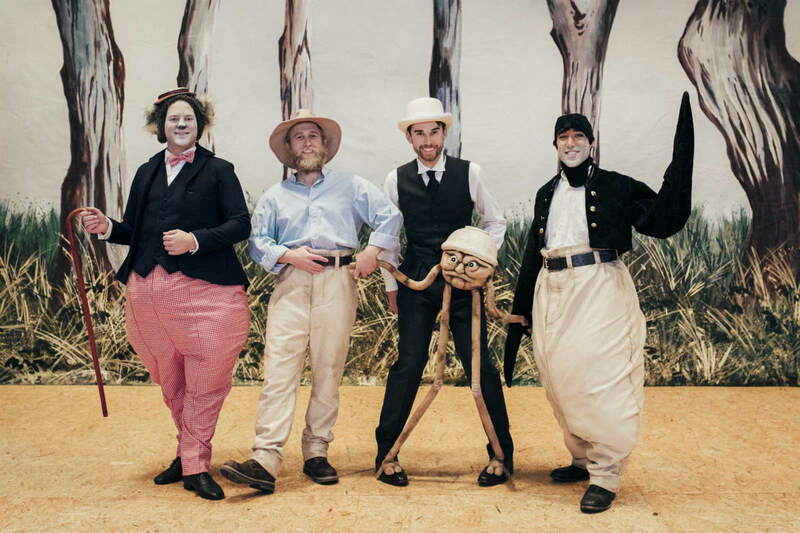 Banner image: Nathan Lay, Timothy Reynolds, Jeremy Kleeman, and Brenton Spiteri in Victorian Opera’s production of The Magic Pudding. Image by Charlie Kinross. For show information and tickets visit Victorian Opera. Find out more about the Bachelor of Music at the Melbourne Conservatorium of Music. Find out more about the Master of Music (Opera Performance) at the Melbourne Conservatorium of Music.